American Academy of Pediatrics (AAP) recently released updated guidelines for screen time for children. The old, well-known guidelines discouraged screen time for children under age 2 and limit “screen time” to two hours a day for children over age 2. These old guidelines were drafted prior to the iPad craze and the explosion of apps aimed at young children. According to research, more than 30% of American children are introduced to mobile devices while they are still wearing diapers and almost 75% of teenagers have smartphones. With the change in how media impacts our children, the AAP came out with new, more relaxed screen time guidelines. Media is just another environment in which kids play. The same parenting rules apply. Continue to engage your children in both their real and virtual environments. Play with your kids and set limits. Kids thrive with boundaries and limits. Get to know who your kids are playing with online as your would in person. Limit your own media use, and model this behavior for your children. Attentive parenting requires you to spend quality time with your kids away from screens. Neuroscience research shows that very young children learn best via two-way communication. Talking to your child is critical for their language development. Passive video presentations do not lead to language learning in infants and young toddlers. Educational media opportunities begin after age 2, when media may play a role in bridging the learning achievement gap. The quality of content is more important than the platform or time spent with media. Prioritize how your child spends his time rather than just setting a timer. More than 80,000 apps are labeled as educational, but there is little research validating these labels. An educational and interactive app requires more than swiping to teach your child. Look to organizations like Common Sense Media (www.commonsensemedia.org) that review age-appropriate apps, games and programs. Create family time. Get your whole family involved in media together to facilitate social interactions and learning. If you and your kid love video games, play it together! Your perspective influences how your children understand their media experience. 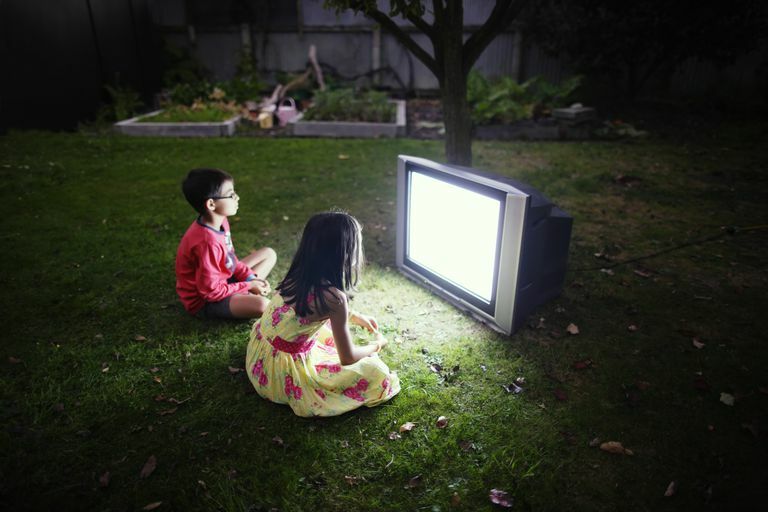 For infants and toddlers, viewing media together is essential. Unstructured playtime stimulates creativity. Make sure you schedule in media-less playtime, especially for the very young. Set limits on the amount of media use in your home. Ask yourself whether your child’s technology use help or hinder participation in other activities? Homework? Socialization? Research shows that online relationships are important to adolescent development. Social media can support identity formation, but teach your teenager appropriate behaviors for online and in-person relationships. Ask your teen to show you what they are doing online and be open to learning from them. It is important to preserve family time. Make meals or bedtime routine media-free. These limits encourage family time, healthier eating habits and healthier sleep. Ask your child learns about media, they are bound to make mistakes. Use these mistakes as teachable moments, handled with empathy instead of times for punishment. If your child is engaged in risky behavior, such as sexting or posting self-harm images, this is a signal that something else is wrong and your child may need professional help.